Jobs in Chennai – Home Credit Walkins 2015 for freshers from 3rd to 15th May 2015. 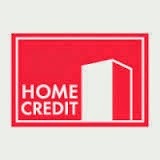 Home Credit Recruitment drive in Chennai for freshers as Sales Executive/Sales Intern position. Interested and eligible candidates can directly attend the walk-in interview at the below mentioned location. Its like (Bajaj finserv emi) staying showroom and do..
72, Sardar Patel Road, Guindy, Chennai.